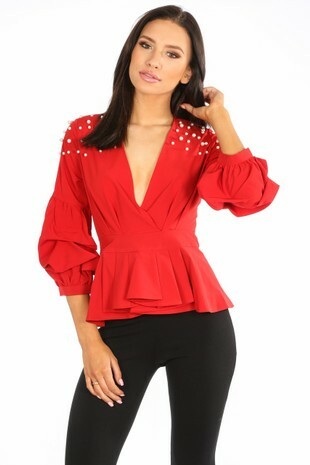 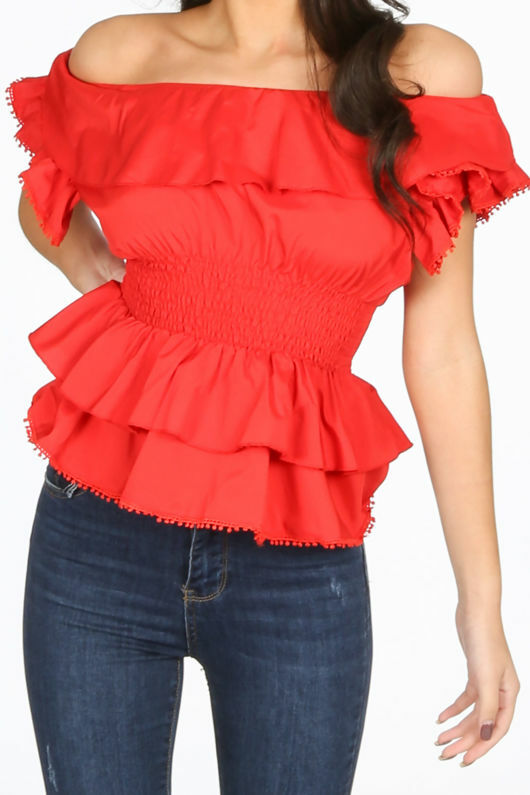 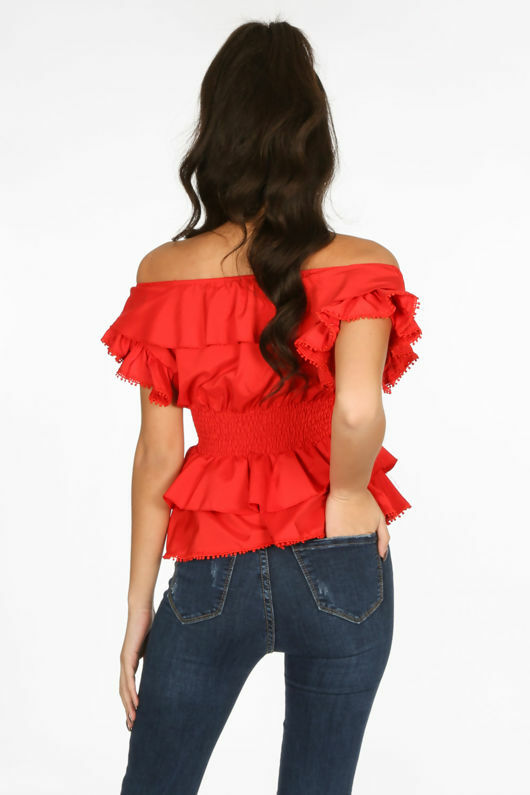 Channel boho vibes in the Red Frill Off The Shoulder Peplum Top. 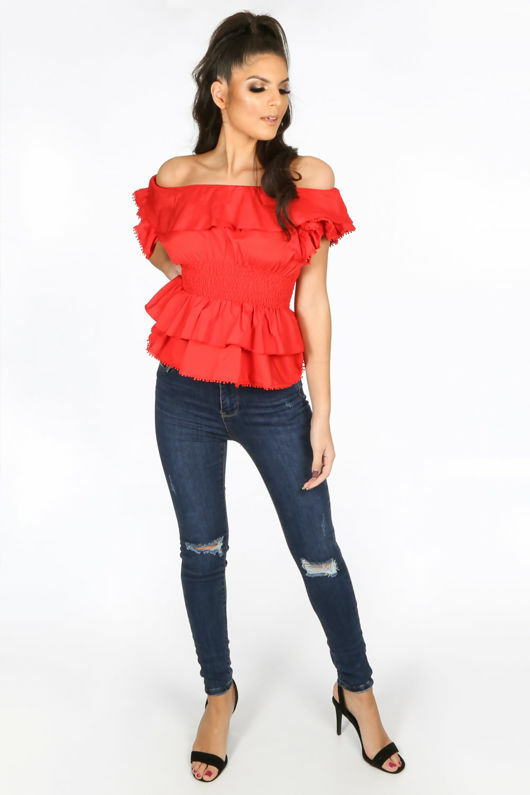 This bardot peplum top creates a feminine shape and features frilled layers and a shirred waistband. 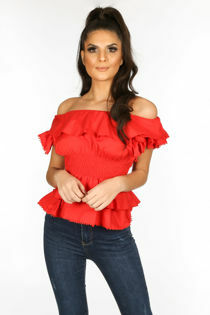 This looks so good with skinny jeans or denim shorts and a pair of strappy sandals for summer.